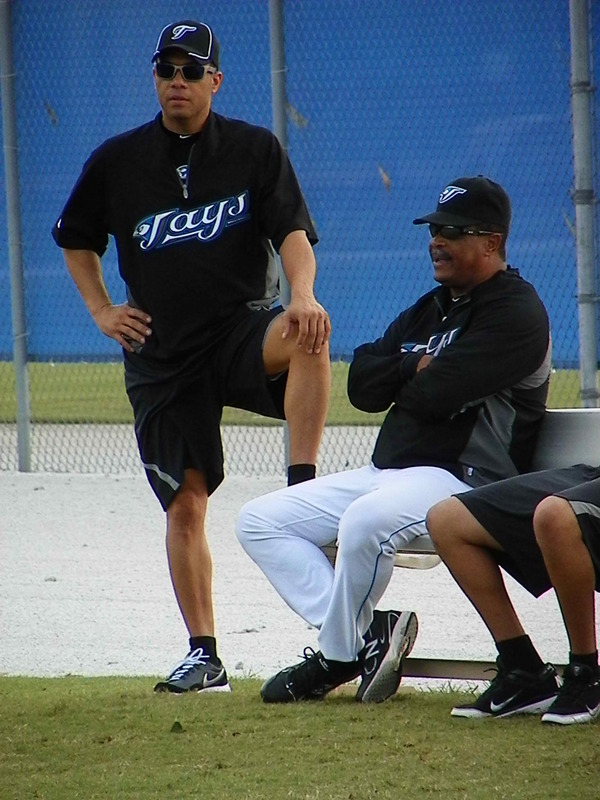 DUNEDIN, Fla.–Imagine being a young man with big league dreams in reach and being instructed by former major leaguers who preformed at the highest level? 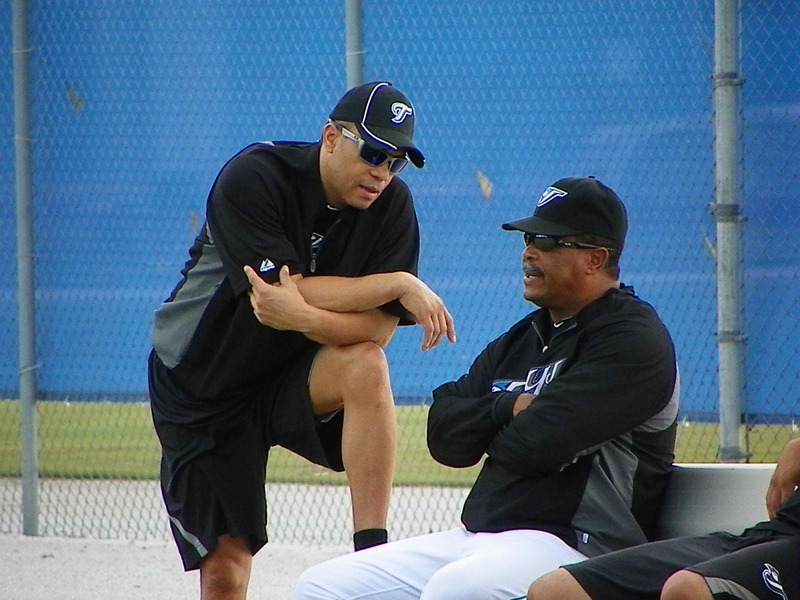 Toronto Blue Jays Hall of Fame second baseman Robbie Alomar (left) chats with former Blue Jays outfielder and AL MVP George Bell at the team’s Mattick Training Center. Alomar has the distinction of being the only member of the Toronto Blue Jays in the Baseball Hall of Fame in Cooperstown.